Muntazar grew up in Chittagong, Bangladesh, and as a child remembers flying kites in the rooftop and exploring the life cycle of tadpoles’ in a small pond in their front yard. His research focuses on relations between children’s behavior and indoor-outdoor transitional space design. Dr. Monsur is a trained architect with a PhD in Design (Architecture). In present, he is working as a Postdoctoral Research Scholar in the Natural Learning Initiative. He is an integral part of several nationally significant projects concerning children’s environment including a multi-year USDA AFRI grant investigating the role of gardening on physical activity (PA) and consumption of fruit and vegetables (FV) among preschool age children. He is also involved in developing and teaching two NLI online certificate programs focused on early childhood environment. 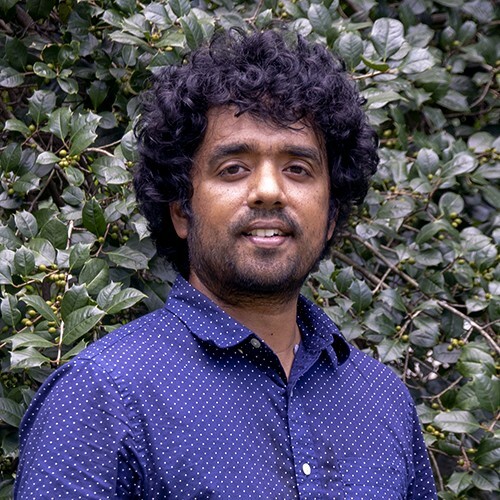 Dr. Monsur has received numerous awards for his research work, including NCSU Professional Development Award 2015-16, ARCC (Architectural Research Centers Consortium) King Medal 2015, EDRA Student Design Award 2014, second prize in the 9th Annual Graduate Research Symposium in NC State 2014 and EDRA Best Student Paper Award 2012. He received both his bachelor’s and master’s degrees in architecture from the Department of Architecture at the Bangladesh University of Engineering and Technology (BUET), Dhaka, where he also worked as a lecturer from 2007 to 2011. Dr. Monsur has also worked as an assistant architect in the Bureau of Research, Testing and Consultation (BRTC) at BUET where he was involved as a design team member in numerous architectural projects. Through his design-research goals, Dr. Monsur is committed to enhance the quality of children’s lives by improving early childhood environments. In his doctoral dissertation, he investigated the relationship between architectural indoor-outdoor spatial relations and children’s behavior. The study has yielded fascinating findings indicating that improved conditions of classroom indoor-outdoor relationships enhance both child engagement and teacher motivation. Dr. Monsur regularly serves as a peer reviewer for scientific journals including Environment & Behavior (Elsevier), which is one of the top journals in the field. He is also an enthusiast in innovative technologies in 3D visualization including virtual reality, augmented reality and realistic rendering. He received an exploratory grant from DELTA, NCSU for developing immersive learning technologies for teaching construction methods to architecture and landscape architecture students at the College of Design at NC State University.